As one can easily notice, the number of Anti-Sai propaganda articles (put out by critics, skeptics and ex-devotees) has been steadily declining, year by year, since 2002. This objective information proves that Anti-Sai Activists are waging a losing and lonely battle against Bhagavan Sri Sathya Sai Baba and the Sai Organization. Multiple and repetitive articles with different links but having the same content. 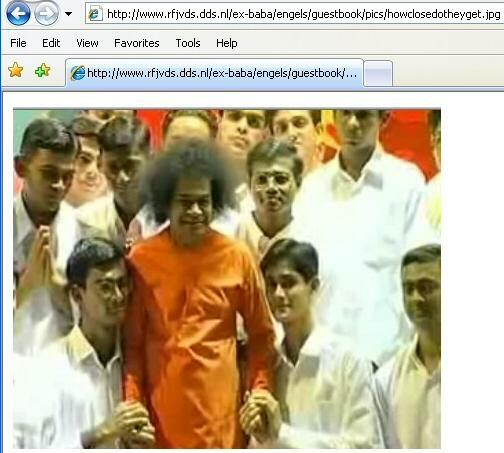 Articles taken from other online media sources (casually referring to Sathya Sai Baba). Anonymous postings made on internet forums or discussion groups. “Page harvesting” articles. “Page harvesting” is when one article, which is located on one page, is divided into multiple anchor-links (an “anchor-link” being ascribed to a new paragraph or section on the page), making it appear as if there are 5-20 articles, when in fact there is only one. Prior to 2006, blogged articles were included in the number tallies. 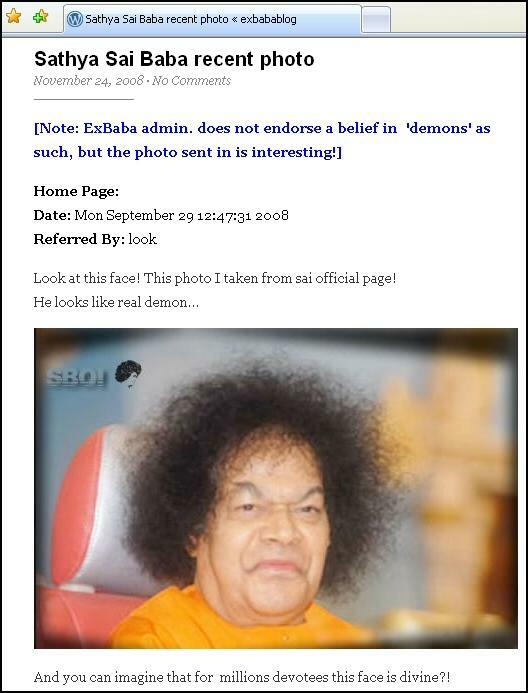 Post 2006, blogged articles are no longer being counted because ex-devotees are now creating many blogs through which they repackage and regurgitate their same outdated, repetitive and obsessive stalk material against Sai Baba. Almost all of these articles (going back to 2000) deal with superficial attacks against Sathya Sai Baba and do not further any of the unsubstantiated allegations of sexual impropriety, fraud, murder, racketeering or any other sort of alleged criminal activity. 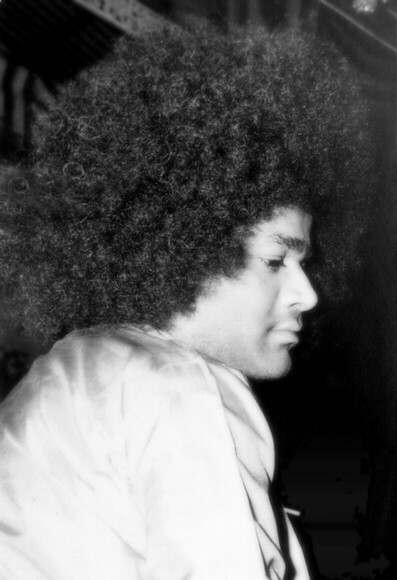 To Date: Sathya Sai Baba and the Sai Organization have never (ever) been charged with any crime, sexual or otherwise. Consequently, these articles are simply Anti-Sai Propaganda. These article numbers were taken from the ExBaba “News Section”, which contains all of the links (in English) relating to Sathya Sai Baba. The “News Section” also provides links to articles published on other Anti-Sai websites and sources. Therefore, these numbers represent the totality of English articles published against Sathya Sai Baba by former followers, critics, skeptics and those holding an unfavorable view about the Indian Guru. 2006 was an eventful year that dealt major blows to the Anti-Sai Movement, which has all but incapacitated Anti-Sai Activists and effectively brought their Anti-Sai Movement to a screeching halt. Anti-Sai Activists are now resorting to redundancy and frothing-at-the-mouth rhetoric to advance their whiny, snippy and bitter arguments against Sathya Sai Baba. 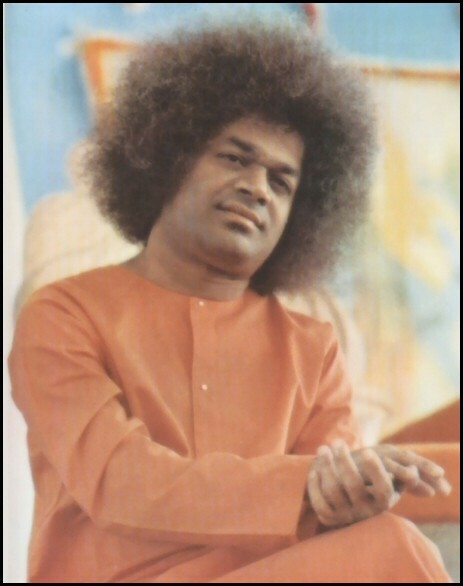 Sathya Sai Baba has never been proven to be a “charlatan”. 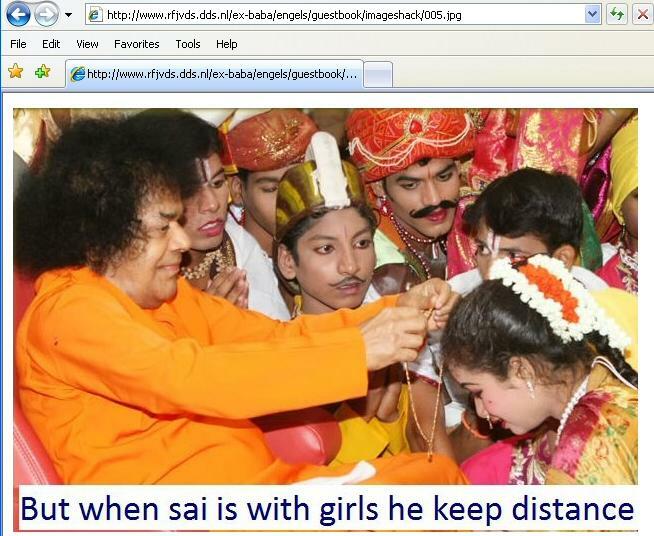 Sathya Sai Baba has never had even one single complaint lodged against him by any alleged victim, first-hand, in India. 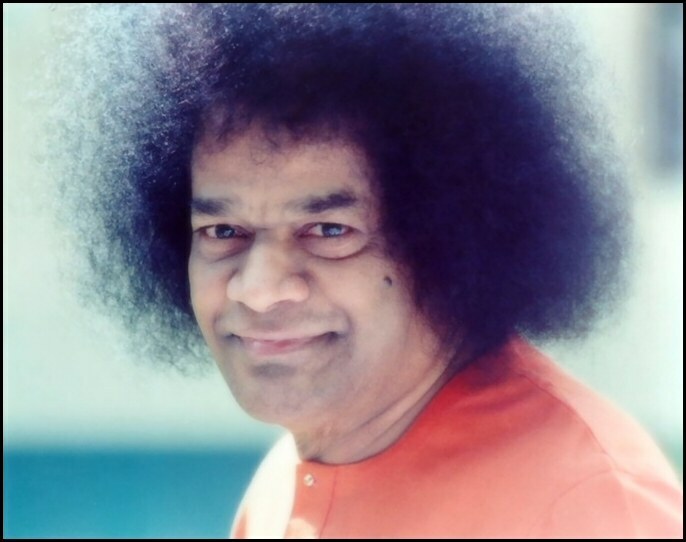 As a matter of fact, not even one alleged victim has even tried to file a basic police complaint or court case against Sathya Sai Baba in India (the only place where courts would have jurisdiction over Baba as an individual defendant). These are the cold, hard facts and no rationalist, critic, skeptic or ex-devotee can provide a scintilla of verifiable evidence to the contrary. Recently, I sent an open letter to all Malaysian Sai leaders and youth coordinators on the subject of “The Internal Threat.” Today I would like to address the issue of “The External Threat” to the Sai movement. The “INTERNET” has become both a curse and a blessing! A blessing for those who seek to advance the boundaries of knowledge and to communicate good and noble thoughts to all at the click of a button, and a curse to all who use this incredible technology to indulge in filth and negativity! I am specifically referring to the spread of negativity about Bhagawan Baba by forces that have their own agenda of Action! Unfortunately, since youth are the ones who most extensively use the Internet, they are often both the perpetrators and victims of this insidious campaign to malign the name of one of the noblest beings, who has walked the earth – nay – a Being of Divine Majesty who walks this earth. There are yet others, whose faith is weak, who have been involved with Sai, at a superficial level even for a long time! Others having possibly been denied of a miracle or favor from Sai, or ignored by Him after considerable personal attention, eagerly take up this filth and pass it on to others – hoping that others will also equally deny the Divine force and majesty of Sai! This is the pathetic story of the fox that got its tail cut and is now trying to persuade others that a “cut tail” is the fashionable thing to have! In the story of the “fox that cut its tail” the other foxes saw through the insidious plan of the fox and chased him away! Unfortunately, in the case of Sai Centers and Sai devotees, many “Sai foxes” have unwittingly allowed their tails to be cut and they are thus depriving themselves of the greatest chance of a lifetime! In my 35 years of association with Bhagawan, on several occasions He explains such incidents as “fly on an ear of an Elephant” which is not necessary to be disturbed or Baba reminds us that people will throw stones towards trees only if there are fruits. Let us collectively ponder what is our duty? It is our test on the path of experiencing Divinity. What vigil and fences have to be built around our organization? Let us remember nothing happens or moves without His wish. Everything that happens is for good, provided we are conscious of our Duty and personal efforts that should follow. If one asks me (i.e. Jega), who will be the one who will bend and break at the first adverse winds of allegations and filth: it will be those who have remained in the periphery of the organization and those who have lived on the periphery of the Sai message. Also those who expect something from Sai, those who want His constant personal physical attention, those who live constantly on the margin of Sai’s physical miracles, those who have not lived the message of Sai through Service for mankind and selfless love for all – these are the potential drop-outs!! Just examine silently those who have “dropped out” or turned against Sai, and you will discover this truth! Do not condemn them! Do not vilify them – only pray that they find Peace and Love in their lives! “Close Devotees,” some of you have been stunned by the fact that so called “close devotees” of Sai have dropped out because of this filth that is being spread through their ears and eyes and into their minds! Devotees who have had so many “interviews,” those who have received Baba’s divine manifestations (rings, pendants, etc) have dropped out and so our jaws drop in amazement! But, is this so unusual? Who betrayed Christ? Was it His enemies or those closest to Him? Who dared wage a war against Krishna – those who were His enemies or those who went to Him seeking His help? Was not Ravana, the Asura who turned against Rama, close to Divinity, for was it not from the Divine that he received his powers? Was not Hiranyakasipu (the father of Prahlada), the Asura who turned against the Devas and even Narayana Himself, close to Divinity – for was it not Divinity who conferred on him the awesome powers he used, to deny Divinity! The Puranas and the history of all great souls are replete with stories of those who, once close, than turned against the Divinity they worshipped! How many of you are aware of the vile accusations hurled against the Buddha and Ramakrishna Paramahamsa, during their respective lifetimes? If Jesus who had 11 disciples, had in his last moments, one who denied Him and another who betrayed Him, can one imagine what one can expect of the Sai phenomena, who has millions who revere Him! Only a little intelligence is required to ascertain the TRUTH. Has any living being on earth, in his own lifetime motivated so much good and godly work for the needy and manifested so much transformation in millions – to go beyond self and to serve the poor, sick and the needy? Would anyone need to set-up such a huge worldwide edifice of selfless service and human values, to indulge in the type of filth that is being passed around? Use your own judgement! Has your life not changed? Perhaps not, if you are still at the level of the Sai form, Sai miracles and Sai bhajans! But, if you are one who has plunged into making the Sai message a part of your life, your own experience, your own awe regarding what good work has been done and can be achieved to benefit all, will be the only witness you need to testify to the Divine grandeur of the Avarthar of the Kali Yuga! In the Greek legend, Ulysses had to plug his ears and that of his fellow shipmates, so that the false and tempting voices of the “sirens” would not lead them to disaster, as they searched for the golden fleece! Now in our voyage for the “golden age,” the voices of modern sirens are tempting devotees away from Faith, Belief, Goodness and Love to hate and negativity! We do not have an ancient Ulysses to plug our ears! The modern Ulysseses are the selfless service and selfless love that Sai has motivated among those who follow His Teachings! These will be the earplugs that must help us to overcome these treacherous times! I pray to all! Do not transmit the filth to others! Do not allow the filth to contaminate your mind! If you feel you do not want to follow the Sai path, by all means step aside, but do not incur the sin of coming between God and His devotees, the message of every vahana (vehicle) in a Hindu temple. For those who love Sai, let us do more! Let us manifest His miracles, His “Vibuthi” (Divine Glory) in society, by we ourselves becoming His Divine miracles, by transforming society to Love and Unity, through our selfless Love and our selfless Service! Please reflect on this, circulate to whomever you want to and act accordingly. Sai Ram and God bless!